The modular design of the Formax 6608 Series of Inserters allows it to adapt to almost any folding and inserting job. This series of inserters can be purchased with 2 to 7 stations offering maximum flexibility that can include a high-capacity document feeder for up to 725 sheets, 1 or 2 high-capacity production feeders, standard and special feeders, short feed trays and a thin booklet feeder. 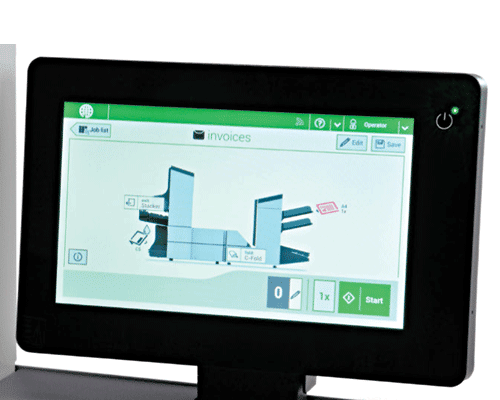 A 10″ touchscreen control panel, top-loading envelope hopper with a capacity of up to 500 envelopes, vertical output stacker for up to 500 filled envelopes, and automatic paper and envelope presence sensors with indicators on the control panel are all standard on the Formax 6608 Series of inserters. Let’s not forget AutoSet, which allows an operator to load the envelopes and paper, press AutoSet, and the Inserter takes care of the rest! It measures all paper size in each tray and the envelope size then automatically sets the fold points. If it’s a common just, store it as one of 50 programmed jobs. Making setup even faster the next time you do it. The powerful folding capacity of the 6608 series allows for folding up to 10 sheets (half fold) or up to 8 sheets (tri-fold) at one time, plus it’s capable of folding and inserting top, middle and bottom-address documents into top-flap envelopes. ** Cascade Mode allows users to link feeders for continuous operation: when one feeder empties, another takes over and the inserter starts pulling from the next tray. 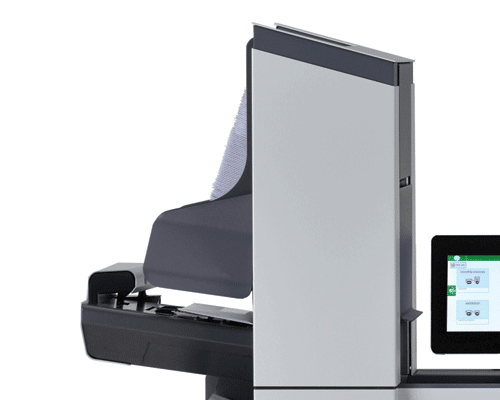 Double document detectors are located at both the feeder and insertion area to ensure the right documents get into the right envelopes and nothing extra. 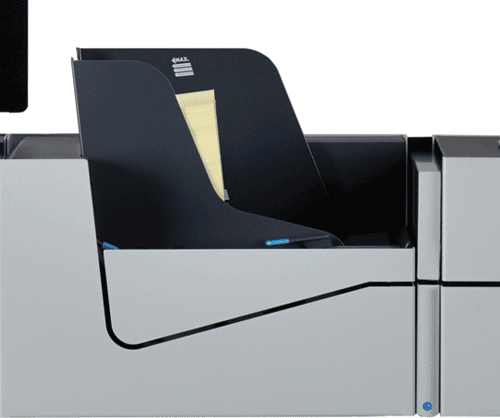 The intelligent 6608 Series utilizes electromechanical detectors which can operate with any print density, paper color, thickness or paper dust to make sure doubles are not being pulled. If it detects an error, documents requiring inspection can be delivered automatically to the divert station without interruption of the work flow. After an hour of sitting idle, the 6608 series will power down and go into standby mode to save energy. Additional options include a thin booklet feeder for inserts up to 2.5mm thick, side exit tray, locking cabinet and 402 Series Joggers.